The statistic above shows a breakdown of U.S. online advertising revenue in 2017, by type. 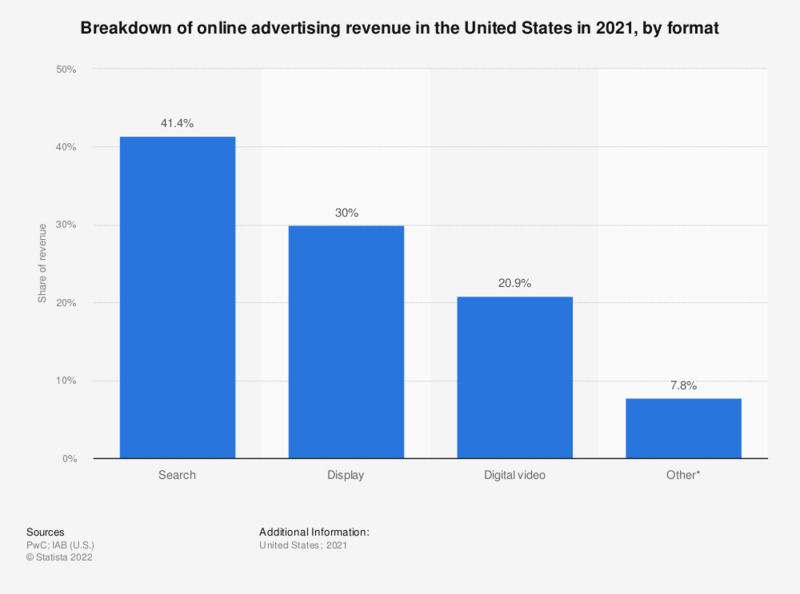 Search advertising generated 44 percent of the total U.S. online ad revenue, down from 46 percent a year earlier. Here you can find the data for the period 2016 to 2017. Amounts might not equal 100 percent due to rounding and omission of minor categories. Everything On "Digital advertising formats in the U.S." in One Document: Edited and Divided into Handy Chapters. Including Detailed References. In which digital situation are you most comfortable with advertisements adjusted to your interests?